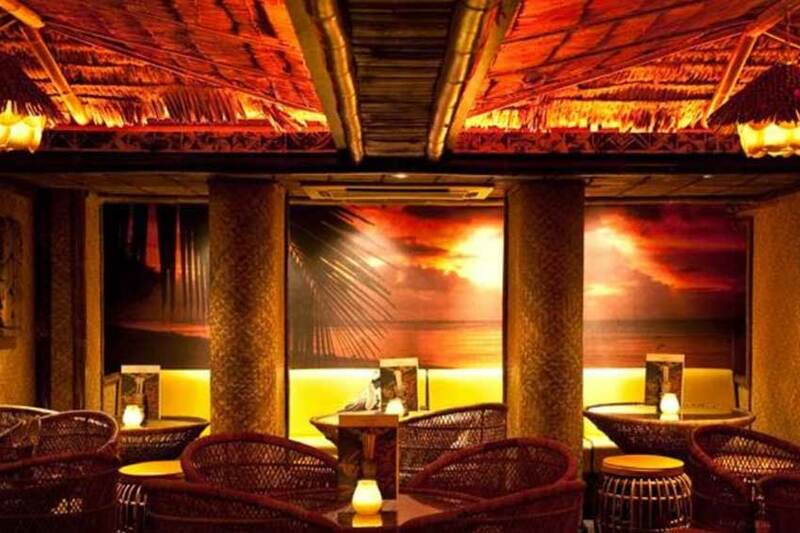 Mahiki will take you to your own exquisite happy place, with the venue’s island themed décor. Make sure you try their exquisite and perfectly concocted drinks list. Enjoy a nightout every Monday to Saturday at the ultimate party destination for the rich, famous, celebrities and A-listers. free guestlist booking ONLY LIMITED GUESTLIST SPOTS AVAILABLE EVERY NIGHT! For last minute bookings (after 6pm on the same night) please call or Whatsapp us! Mahiki is the celebrities’ beloved exotic place, where marvellous waitresses are dressed up in orchid print dresses, with tropical flowers in their hair, serving drinks in tropical themed glasses. Where male personnel, wearing Hawaiian shirts, are serving shots of tequila at the bar, decorated with palm fonds, rushes and reeds. Where all the guests will have a dose of their own paradise. 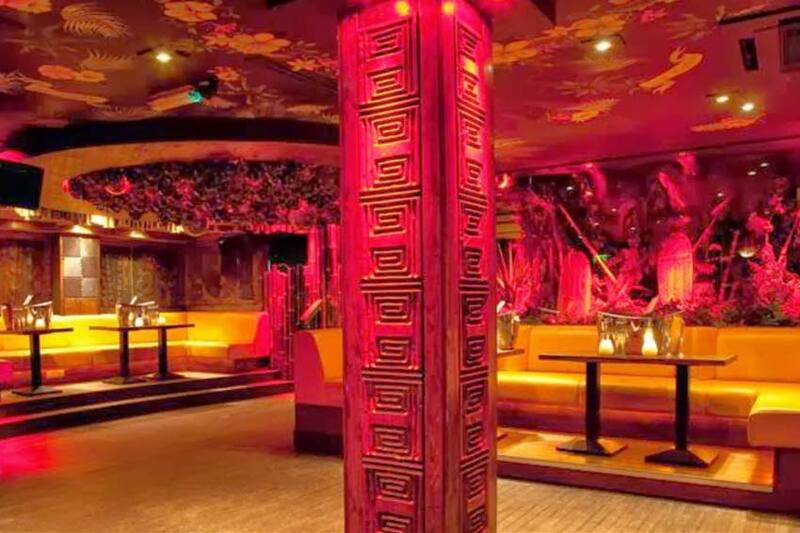 Mahiki London is named after the Polynesian path that leads to the underworld. Mahiki Mayfair is frequently referred to as one of the Londons most well- liked clubs, which attracts media attention because of royal guests such as Princes Harry and William, music royalties and Hollywood celebrities- Lady Gaga, Rihanna, Paris Hilton, Scarlett Johansson and many others. 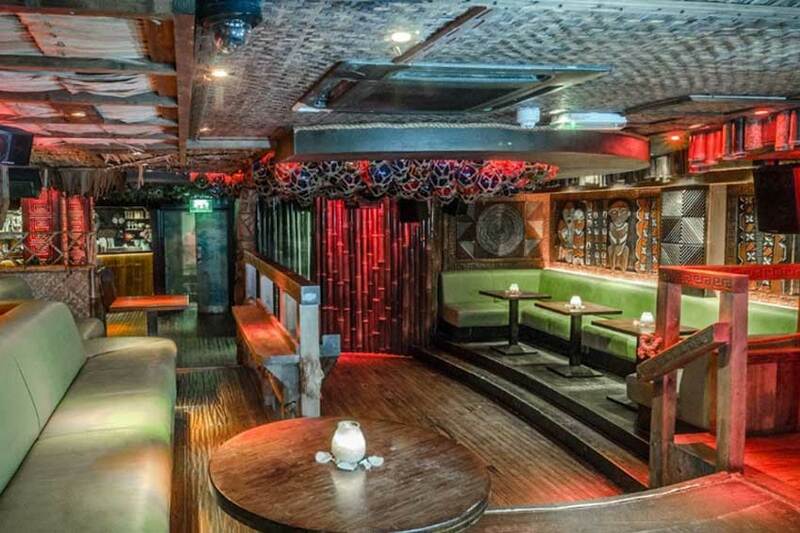 This London nightclub boasts its Tiki flavor as a distinctive feature that Mahiki club has to offer, and this is the reason why they are so attractive to the upper class. What are you waiting for? Book your way into paradise and get on Mahiki guestlist or make Mahiki table reservation with Club Bookers. Although Mahiki has become very popular, the venue has a more relaxed door policy from some other clubs in Mayfair but the entry still relies on the discretion of the door staff. It was based on co-founder’s Nick House vision on Mahiki – “Whether you’re fat, thin, bald, ugly or old, you can get in.” It is still highly recommended for guests to wear smart and elegant clothes. For more information on Mahiki guestlist and entry fee you can always get in touch with our Club Bookers directly. Mahiki is open from Monday till Saturday. The venue always provides diverse top-quality food and Tahiti inspired drinks, for example, Pina Colada which is served in a whole pineapple, Coconut Greande- in a frozen coconut and Fa’fefene- in very long crushed ice. Talking about the food, Bikini Blast, The Sea Pearl, Tonga Twist are meals made from the freshest products. Every dish in Mahiki Mayfair is a dish that is well fitted for gods. Mahiki guestlist is one of the most popular club amongst A-List London crowd so early guestlist bookings are encouraged especially on Fridays and Saturdays. Ladies that are on Mahiki guestlist and arrive before 11pm are free of charge, after 11pm £20 needs to be paid. Gentleman pay £20 all night. Make sure you check the Mahiki entry price and bottle prices to make the most out of your Mahiki party. Mahiki Dress Code is smart casual and dress to impress. Club management has the right to refuse entry. Guestlist Bookings for Mahiki London Night Club. Guestlist Reservation Service for Mahiki night club. Book your private VIP table now! Check our weekly updated party picture gallery and share these with your friends.